I was a child back in the 50s. I grew up watching Disney movies which at that time portrayed all these fanciful characters whose home was Fantasyland. Dumbo was one of these. Originally released in 1941, Disney studios created a more modern film that was recently released in 2019. To my dismay, this new movie has a sinister twist to it and I would classify it in the Children’s Horror category. Gone is the innocence and purity of portraying evil in a simple, animated manner. While at the end of the movie Dumbo and his mother are reunited, the black drama that precedes this event is definitely unsuitable for a young audience. In fact, the day I saw Dumbo here in Aguascalientes, the audience was all adults. There wasn’t a single child in the theater. Years ago, on one of our visits to Disneyworld in Florida, my children and I were enchanted with Fantasyland. I can still see their smiling faces as we excitedly clambered into an elephant and were soon airborne on the Dumbo ride. In fact, it was one of their favorites and we rode it several times. 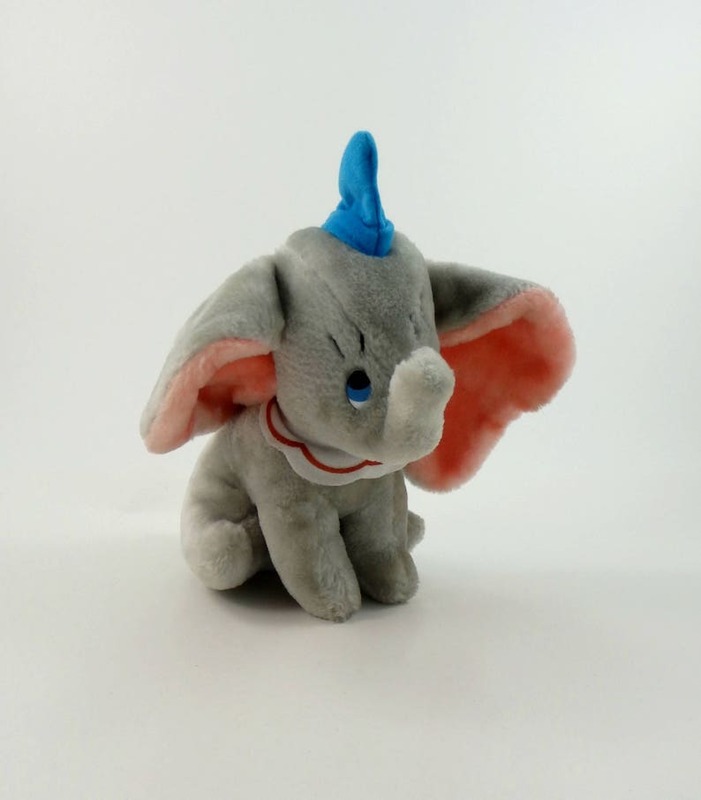 I can still envision my daughter clutching that precious Dumbo stuffed elephant sold in the many kiosks on the Disney properties. Taking a young child to see the 2019 remake of Dumbo is not my recommendation. Some of the scenes are gruesome and more than scary and likely to cause nightmares. As an adult, I was disappointed and I wonder what Walt Disney’s feelings would be were he still alive. On the plus side, I saw this film in Spanish with no English subtitles. I was delighted at how much my Spanish has improved over the years. Finding a Christian church in Mexico is difficult enough as this is definitely Catholic country. Finding a Christian church where I feel comfortable and welcome is another hurdle. Finding a church where I am able to become involved is a blessing. I’ve lived in several places in Mexico and have attended a few Christian churches. The gringo churches were not my favorites. While I am still not completely fluent in Spanish, I still prefer the Mexican churches over the gringo churches. Here in Aguascalientes I have discovered a gem of a church, and it’s only two blocks away from where I am staying. One Church is only two years old and has only fifty congregants. A husband and wife, both pastors, not only spearhead this church but they also financially support this church with outside jobs. Although One Church is affiliated with Redime (Redeemed Church), it receives no funding from this organization. Additional funding is provided by contributions from the congregants at the services. Tax receipts? Not in Mexico. Services are held Sunday mornings at 11 am and Thursday evenings at 7 pm. The worship team lead the congregation in prayer and praise followed by a short coffee break. A nursery as well as a children’s program are available when the pastor next gives a sermon. The service concludes with more prayer and praise. The church has an active group for young adults that meets on Saturday afternoons. A time of prayer and bible study is often augmented by going out into the community and evangelizing. The church also sponsors a radio program on Saturday afternoons where the pastors and congregants participate. The pastors were also instrumental in establishing a drug rehabilitation center in Aguascalientes. Many of the congregants volunteer their time at this facility. The pastors themselves come from very different backgrounds. Martin attended Ana Sanders Seminary in Mexico City and received a doctorate from Vida Nueva Para El Mundo. Elizabeth had traveled around the world with profeta Yalile Diaz, Interestingly enough, Martin and Elizabeth met on Facebook. They have been married for three years and have an adorable two-year-old son. If you ever find yourself in Aguascalientes, I highly encourage you to seek out this church in Las Flores. I’ve been in Aguascalientes for only three months, and I truly feel that I belong to this church family. The pastors and the congregants have been most welcoming to this gringa, and I know that I will miss them when I head back up north in a couple of weeks.